The Canadian Down Syndrome Society supports the diverse and growing community of over 45,000 children and adults with Down syndrome in Canada. Become a member of the CDSS community for access to exclusive publications, events and materials. Find local groups in communities across Canada for additional Down syndrome outreach. CDSS hosts several major annual events and countless local events across Canada each year. We offer numerous opportunities for advocates and self advocates to get involved in their community. CDSS requires continued public fundraising in order to sustain current programs and support. The CDSS community is more than just children and adults with Down syndrome. It includes their families and loved ones, the health, education and employment professionals who provide care for them throughout life, and the general public who wants to learn how to #SeeTheAbility. Regardless of whether you are an adult living with Down syndrome, know someone who has Down syndrome, or just want to learn more, CDSS is here for you. You help us create a Canada where people with Down syndrome can thrive in. There are two important things that drive growth on our community: Advocacy and Inclusion. Advocacy helps bring awareness and dispels myths and stereotypes. It allows us to empower Canadians to speak out for the Down syndrome community. 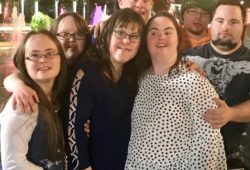 Advocacy enables parents, siblings, family members, and of course, self-advocates – people living with Down syndrome – use their voice in their community and create a community that supports diversity of people. 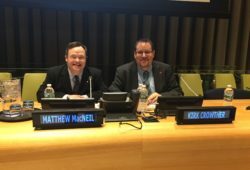 This section aims to bring advocacy and inclusion together, through local events, awareness campaigns like World Down Syndrome Day and Canadian Down Syndrome Week, special events like the Canadian Down Syndrome Conference and Go21, our Affiliate organizations and local groups, fundraising projects, and our blog. Explore the sections throughout. 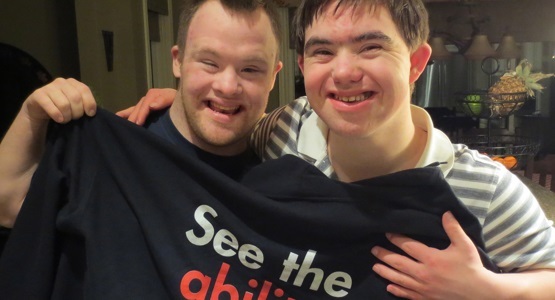 Learn more about what’s going on in your community and join us as we teach all Canadians to #SeeTheAbility! We work tirelessly to maintain relationships with and support local groups and affiliates in communities right across Canada. Our contributors spend hours providing information about new and exciting advancements within the Canadian Down syndrome community.